When Euro currency was on the threshhold of introduction, and this blogger noted that the €500 note would be a boon to professional European money launderers, only the Guardian thought my comments were worthy of publication, back in 2001. 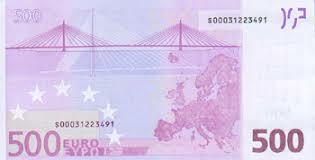 Years later, after the criminal syndicates have adoped the five hundred Euro note as their medium of exchange, and most Europeans note that they rarely, if ever, see one in circulation, the European Central Bank (ECB) announced that it will no longer be produced. Why the delay ? Considering that the ECB published a report back in 2015, concluding that the five hundred Euro denomination facilitated transnational crime, its May 2016 decision was long overdue. There's a reason why the US has not had larger demoninations for decades; in Canada, existing large notes, no longer produced, survive as a currency of exchange in criminal circles. 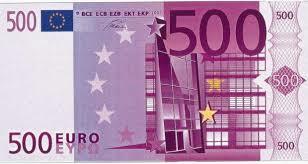 Indeed, most of the €500 notes are believed to be held in Spain by organized crime syndicates. We welcome any efforts to reduce untraceable medium of exchange, and the loss of the five hundred Euro notre has hit professional money launderers where it hurts.